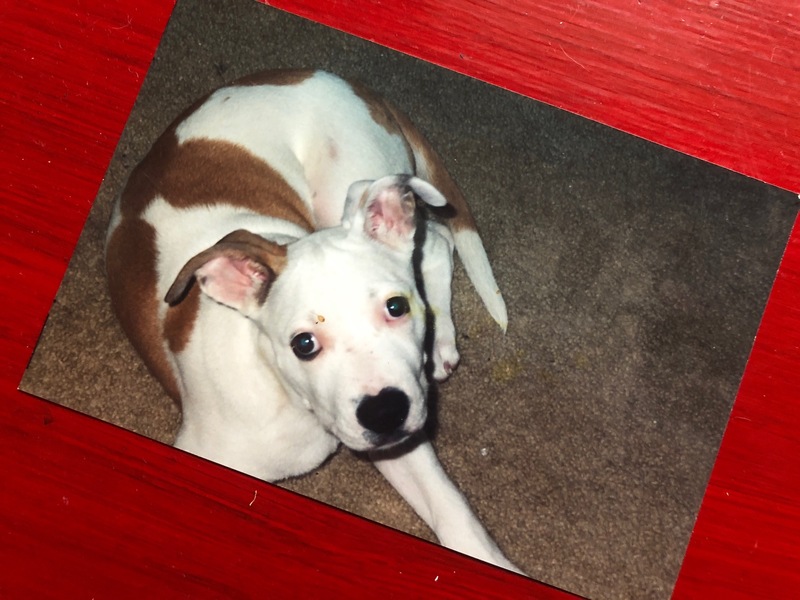 If you know me, you may know this story already, but my first dog Koby was a challenge. In fact, the word “challenge” is an understatement. I loved him like crazy, and hindsight being what it is, I wouldn’t have it any other way, but this dog turned my world upside down. He was a rescued Bully Mix that suffered from every behavioral problem in the book. And all this despite the fact that we had him enrolled in training classes from the instant we brought him home. 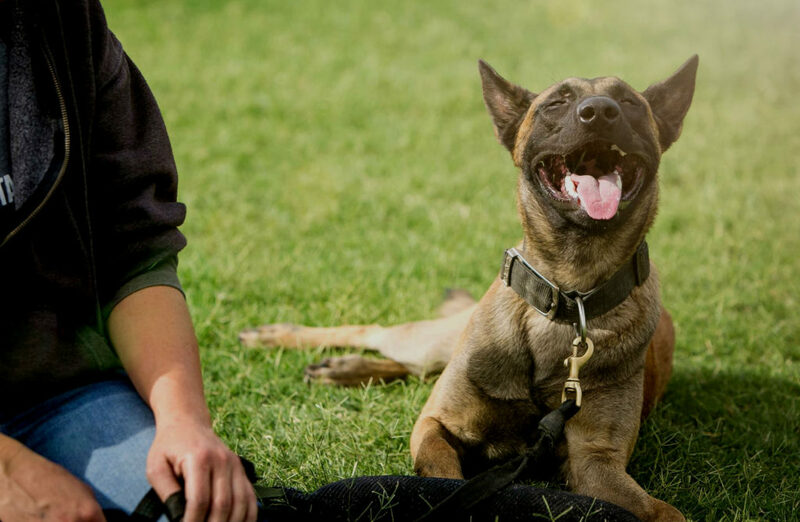 Listen, I loved that dog like crazy, and I love the lessons that he taught me – my quest to solve his behavioral issues is what inevitably propelled me into a career working with dogs – but back then, it was stressful and frustrating, and I regularly felt like a failure. Back when I worked with Koby (or perhaps “struggled with” would be a better term), I learned one very valuable lesson that I’ve carried with me to this day. This lesson resulted in a massive mindset shift that ultimately helped us be more successful. And that ultimately helps me be more successful with every dog that I’ve worked with since. The thing was, every day I said to myself “I SHOULD take Koby for a walk”. I mean, that’s what GOOD dog owners do…right? But walking him was a nightmare. He pulled, he was reactive, and the experience left me drained and my confidence in the gutter. By “Should-ing on myself” I was setting us both up to fail. I wasn’t allowing myself the capacity to teach him to behave on lead. I wasn’t allowing myself the time to show him the right way and expose him slowly to the things he needed exposure to. And I was adding unnecessary pressure to myself and putting us both in a situation that wasn’t good for us. That hour would have been MUCH better spent at home, working out our kinks. Teaching him to accept the leash and walk with me, and slowly exposing him to the things he got worked up about. And guess what? As soon as we made that shift, as soon as I stopped feeling guilty for not doing the things I thought I was supposed to do as a “good” dog owner, the brain work and dog training we did impacted our relationship in a profound way. We started having successes, instead of the constant failures we had experienced in the past. And we improved our communication with one another, which strengthened our bond. Or I SHOULD teach my dog that behavior in a certain way, because XYZ trainer told me it was better, despite the fact that I’ve had great success with an alternative method. Or I SHOULD feed my dog a certain way because I’m pressured into thinking it’s what’s best. Expressions of my tremendous care and concern for my dogs. Which is something to be proud of…not something to feel guilty about. All too often, we “SHOULD” on ourselves. We do things not because they are what’s best for us and our dog, but because they are things we think we are supposed to do to be a “good” dog owner or “good” dog trainer. So if you find yourself saying “I should XYZ…” stop and ask yourself these questions. By simply being aware, you’ll start to experience a profound mindset shift that will move you from feeling guilty to feeling empowered. Stop “Should-ing” on yourself. It’s not good for you, and it’s not good for your dog either. Hit me in the comments below and tell me about a time where you inadvertently “Should” on yourself. I want to hear your stories! 16 replies to "Dirty Words in Dog Training: Don’t Sh*** on yourself"
To my mind if you think you should be doing something, then whatever you’re doing isn’t working, for your dog. Deffo a people problem, cos your dogs don’t think like that. Should isn’t in their vocabulary. Lol. Only time I think I should be doing something, is when the weather is cold and wet, and I don’t want to go out! The corollary to this is to stop “shoulding” on your dog, too! My dog should know this, know that, do this, know not to do that, be able to do this, etc. I love you for this input! I have, too often, sacrificed training time for walk/exercise. Thank you for “allowing” me more training time 🙂 I’m sure we will all benefit and the walks will even be better. Meagan Karnes, thanks so much for the post.Really thank you! Great. Megan, I’ve “should’ed “ myself ever since I got Wallace 17 months ago. He is a working line GSD which I’ve wanted for over 25 years. Finally, my dream come true. Then I had all my teeth pulled, moved my mom with dimentia out of her home and into independent living, assisted living, nursing home, tons of hospital stays and broken hip and wrist, not to mention exposure to mold in my house and an IRS audit, to name a few. All good excuses why we can’t spend more time and money traveling to train and in an effort not to do it “wrong” we just don’t do it. Should have, should be constantly rules my life. Thanks for giving me hope that not all is lost. Because after all, Wallace IS the little be of my life. That should read: is the love of my life. I really SHOULD be out training my dog on this nice day instead of sitting inside on the computer! So look what I learned instead? Good article. Great article. If you do something because you *should* you probably aren’t doing it in the right frame of mind to succeed. Yes having two pups the first pup I felt pressured to bring him to all the puppy classes. as yes there were taught to focus on the owner. classes were still large and overwhelming. Don’t get me wrong I learned a lot. Our first pup became dog reactive. Second pup decided to skip puppy class. All outings were fun and made sure my pup had fun! I later brought my second pup to a class when she was about a year and she was so well behaved. I just prefer training on my own and making sure my dogs behave well in public and they do! I enjoy training them at home and practice in real life settings or with a private trainer. I should have fired the trainer that was working with me long before I did. I wanted a trainer who could teach me how to work with my dog, and this trainer did everything but that. When she flipped my dog on his back and said this would cure him from chasing cars, or when she suggested getting a riding crop to hit him when he pulled on walks, I should have ended it right there. I was referred to this trainer by someone who had malinois. There were so few trainers in my area that truly knew Belgians, so I jumped at the chance to work with someone I hoped really knew their stuff. But this trainer was cruel. She changed training methods over and over. I was either giving too many treats or not enough. Not allowed to work with a toy. I used his name too much during trainning or not enough. It just seemed like everything I did was not right. Then she said to me that my husband should be training the dog and not me. He worked six days a week and was never home!! Then she suggested I rehome the dog. I fired her. The whole purpose of trying to work with an experienced trainer was so I would not have to re-home the dog. I began my own quest for training information since it seemed most of the trainers in my area lacked the Belgian experience. I just wish I would have done it sooner. I wish you would do a blog on the effects of staying with a bad trainer too long and how to identify a bad trainer. My dog was only six months old when we used this trainer. Great article. Training is just so tough sometimes. Great outlook on keeping things in perspective! So true Miss Meagan! I should have done myself into a not so pleasant experience with my Australian Cattle Dog pup. We had very little fun, all in the name “Proper Training” I am about to go pick out my Ditch Shepard pup this week, am because of your blog am encouraged to have fun with my pup, and quit shiukdings myself and my dog out of enjoying our development together. I will keep reading your blog and articles as long as you keep them going! Thanks Miss Meagan ???? After reading this article and many of the great responses, I started thinking about what “should” means to me and why I “should on myself”. For me it is lack of confidence in myself as a trainer and faith in my dog to know what I have trained. I now have a new mind set when training, make the training advice my own. My training sessions have been very mechanical, “coach says this is how you train this “ and I followed the steps A, B and C. Now before I start training something , I am going to take a moment to ask myself “is this right for me and is this right for my dog?” The sad thing is I think my herding coach has been telling me this for some time now and I just needed to see it in writing for it to sink in.